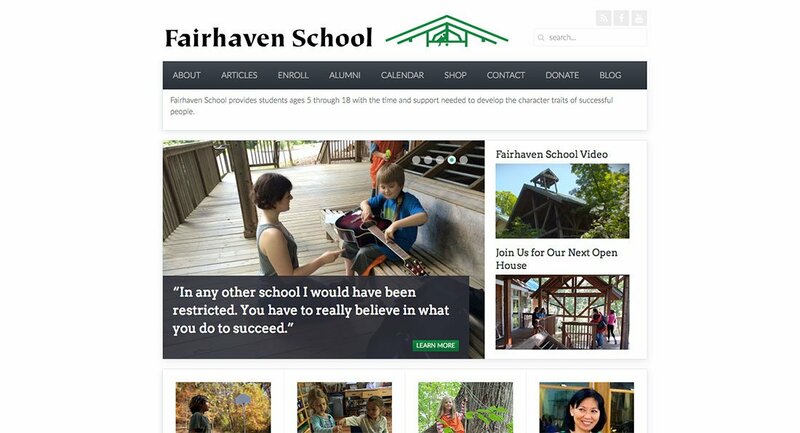 Fairhaven School is Maryland’s first Sudbury School for students ages 5 through 18 and has been in operation since 1998. 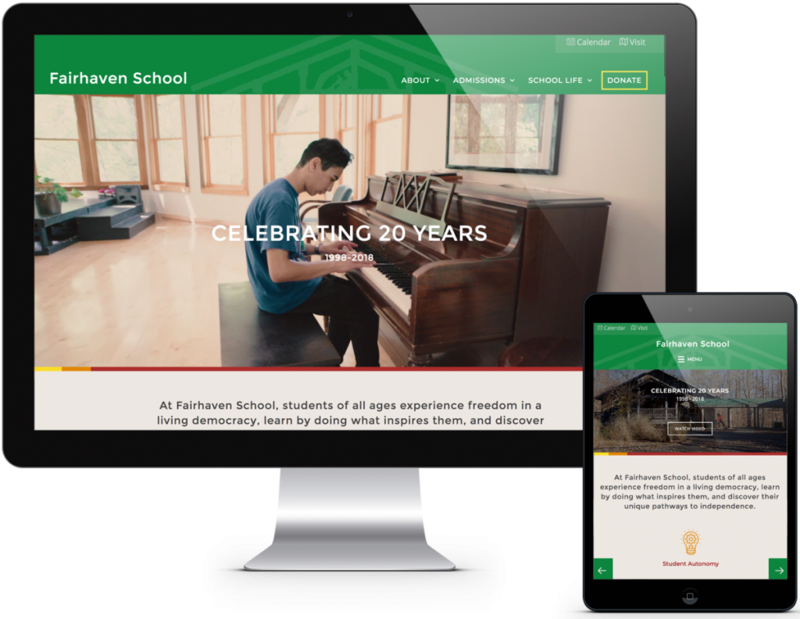 They finally approached us for a website redesign after spending too long going down the DIY route and getting frustrated with the process. 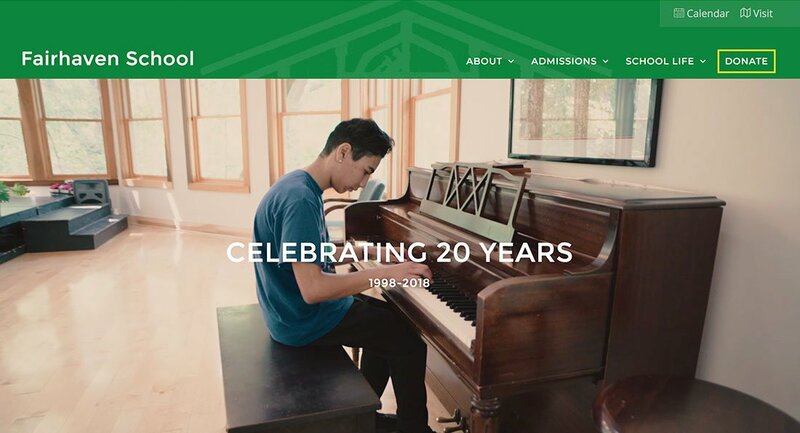 They were ready turn it over to the professionals and are now enjoying a fun, bold website that captures the creative spirit of their school and is producing new student inquiries all the time.